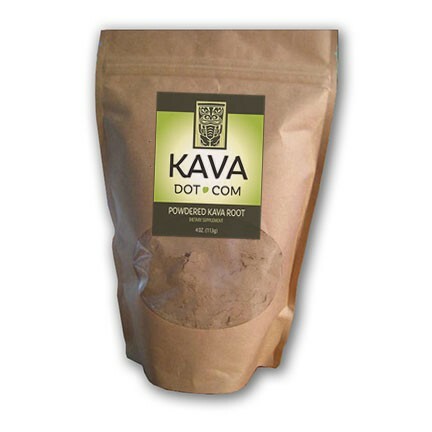 Tudei Kava is a fast-growing Kava that is typically stronger than “regular” or “noble” varieties of Kava. Most Tudei Kava has a signature 2-5-3 Kavalactone lineup, which makes it a very relaxing, and smooth-drinking, but not necessarily an every day Kava. 4 oz. $14.99 4 oz. 14.99 Kava Points. 8 oz. $28.99 8 oz. 28.99 Kava Points. 16 oz. $44.99 16 oz. 44.99 Kava Points. Tudei Kava is a fast-growing Kava that is typically stronger than “regular” or “noble” varieties of Kava. 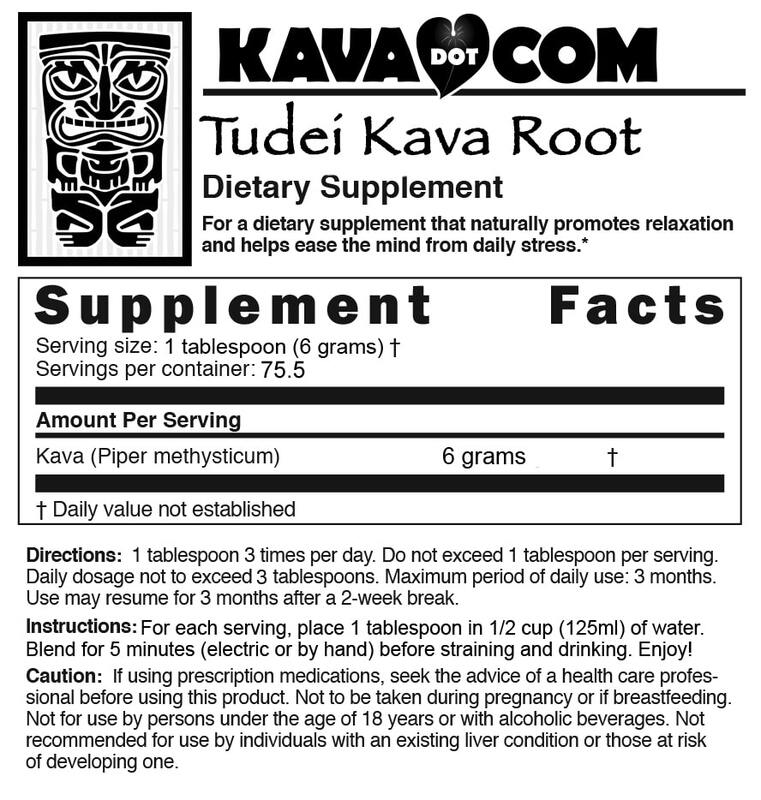 Most Tudei Kava has a signature 2-5-3 Kavalactone lineup, which makes it a very relaxing, and smooth-drinking, but not necessarily an every day Kava. It’s not difficult to find Tudei Kava suppliers, but even though this is a commercial grade of Kava, we look for the best variety of Tudei Kava we could find. With some controversy over this well-known, great drinking Kava, we decided to leave it up to our customers about whether or not this pure and inexpensive Tudei Kava root powder is for them. According to the findings of Wonderland-Labs, specialists in testing Kava, with well over 100 samples of Kava tested in the current marketplace, they have found that more than 50% of the Kava they tested contains varying amounts of Tudei Kava, even when it’s claimed to be a pure “noble” variety of Kava. These findings were confirmed by “The Verge”, who’s article we include below. Our Tudei Kava is 100% roots-only Kava. We never include any stems or leaves in any of our Kava, and certainly not in the Tudei Kava offered here. All of the Kava we offer here is lab tested by 2 separate labs to ensure identity and food-grade quality of the product. It’s also proudly manufactured in a beyond FDA-compliant facility, so sit back, relax, and enjoy a shell of Tudei Kava Root Powder today. For Clarity: Please understand that Tudei Kava Root powder comes with some controversy, hype, and people on both sides of the argument about whether or not this Kava is good for you or not. We’ve provided links at the bottom of the product description to jumpstart your research. We have also provided links to the World Health Organization’s comprehensive study of Kava that shows no links to any harmful effects from Kava roots that have been extracted in the traditional manner with water. I can report that I personally been consuming Kava for over 20 years, on an almost daily basis. I limit my Kava intake to 500mg of Kavalactone per day, and perhaps once a week or so, will enjoy up to 1000mg – 1200mg of Kavalactone (4-6 shells of Kava). Because I’m a pilot, I have to get a physical every 2 years. At those physicals, I get blood work to test the condition of my liver, and I am very pleased to report that I don’t even have elevated levels of enzymes. When I asked my doc about the results, he stated that he sees far more worrisome blood work results from those who consume as little as 2-3 alcoholic drinks per day. But, this is just me, weak stomach and all. We also wholesale this product as a retail package, unlabeled package, or wholesale quantities up to 500kg at a time. Directions: 1 tablespoon up to 3 times per day. Do not exceed 1 tablespoon per serving. Daily dosage not to exceed 3 tablespoons. Maximum period of daily use: 3 months. Use may resume for 3 months after a 2-week break. If nausea occurs, as all types of Kava can cause in some consumers, discontinue use; Kava may not be for you. As with all of our products here, we offer a 100% Satisfaction Guarantee, which allows you to return any unused product for a full refund or replacement. Caution Suggested by the FDA on ALL Kava: If using prescription medications, seek the advice of a health care professional before using this product. Not to be taken during pregnancy or if breastfeeding. Not for use by persons under the age of 18 years or with alcoholic beverages. Keep out of reach of children. Used in excess or with substances that induce drowsiness, the ability to operate heavy equipment or a vehicle may be impaired. Not recommended for use by individuals with an existing liver condition or those at risk of developing one. US FDA advises that although it appears to be rare, a potential risk of severe liver injury may be associated with kava-containing dietary supplements. At first it didnt seem to work for me, but after a couple of attempts the effect finnaly started kicking in. I could compare the effects to lower level of alcochol intoxication and marijuana- mind and body relaxation, slight euphoria, talktiveness and mind clarity. Deffinetly helped kick alcochol withdrawl symptoms out of the window! Recomended. how do we know this is genuine tudei kava? To be completely honest, your question struck us a bit funny, so thank you for asking it! In all our years of selling Kava, no one has ever asked us if the Kava we’re selling as Tudei, is actually confirmed Tudei. Tudei Kava has been given a bad rap by many in the Kava community, because they feel it is an inferior Kava. So, the question is usually the opposite; “How do we know the Kava you’re selling us ISN’T Tudei Kava?” is how the question goes time and time again. In order to quiet the detractors who have had a target on KavaDotCom and Kona Kava Farm for as long as we can remember (it’s often the Kava sellers who are not using GMP manufacturing standards, and who have resisted using Lab Testing and Certificates of Analysis for their Kava – something we proudly pioneered), we decided to offer both ISA and Tudei Kava. This way, in our mind, it is increasing our transparency because now you can see Noble Root, Noble Blended Root, ISA Kava Root, and Tudei Kava Root side by side. We figured it would be impossible to accuse us of selling Tudei Kava as Noble Kava if we offered all the major varieties of Kava that currently exist. We do have an article on the varieties of Kava and how to determine genuine Noble, ISA or Tudei Kava here: https://kava.com/genuine-kava/. Hope this helps! Not sure we answered your question, but if not, just comment back and we’ll try to get it the second time around!